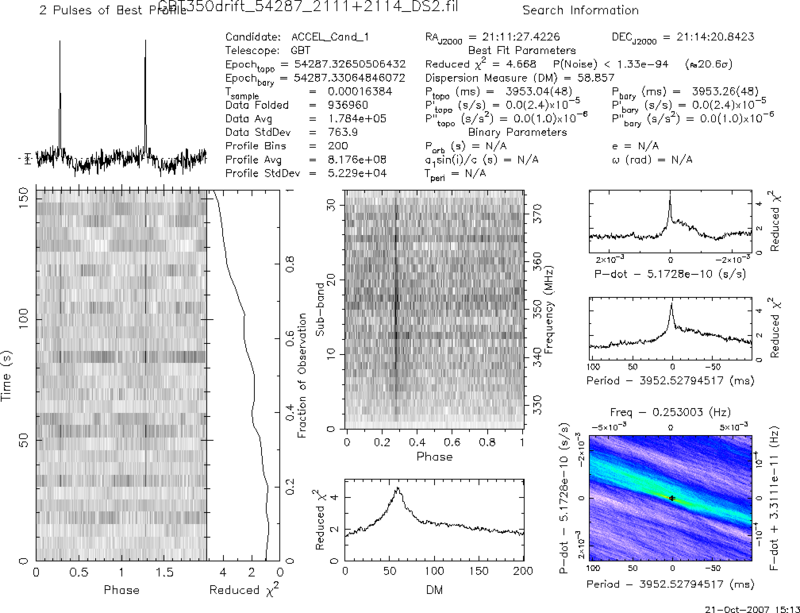 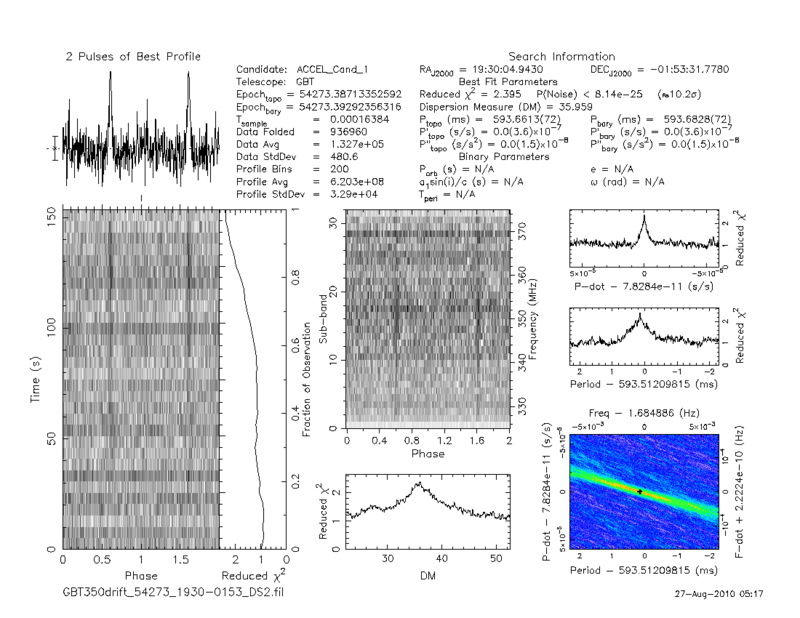 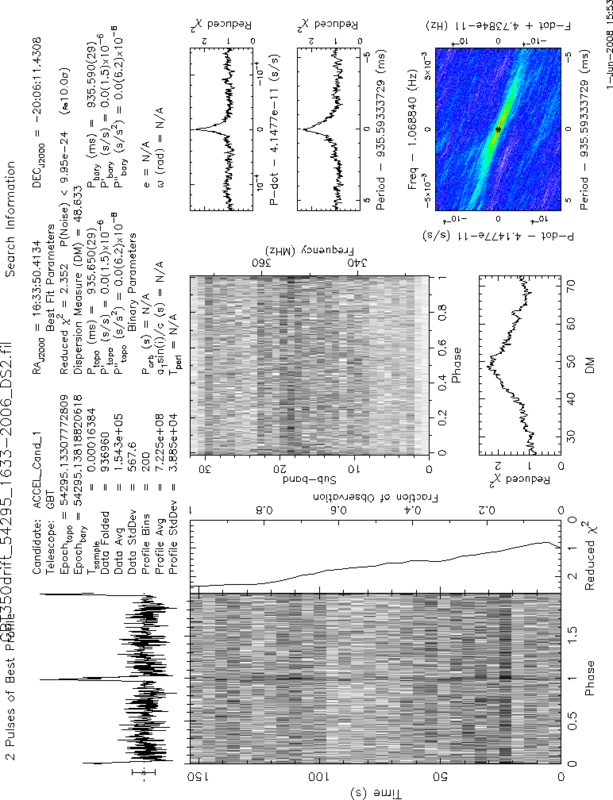 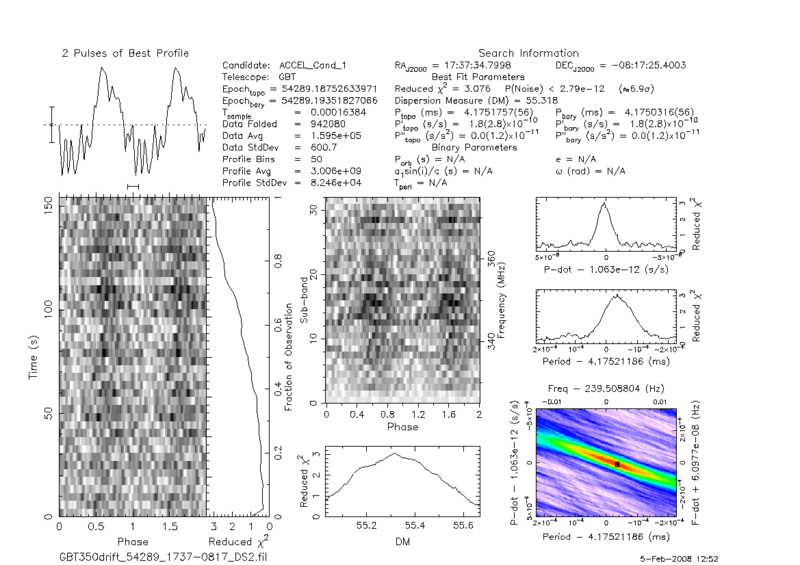 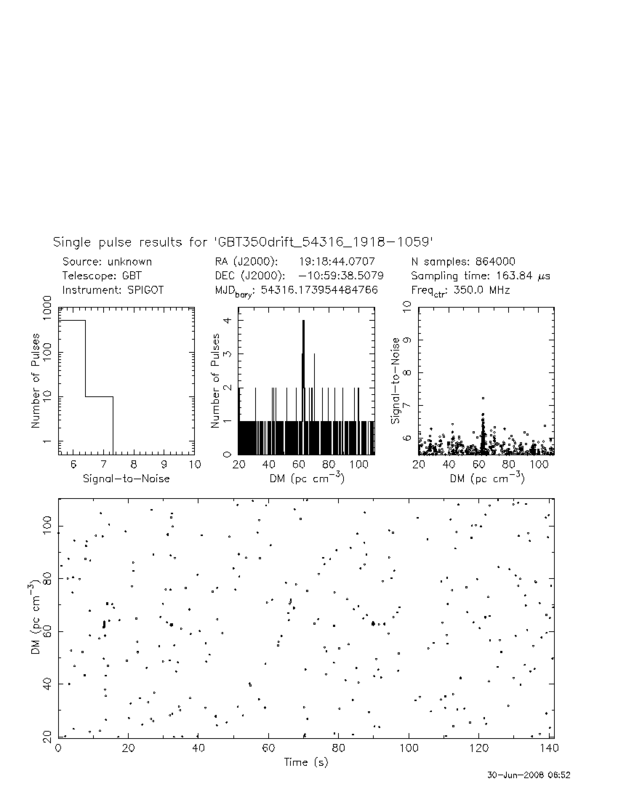 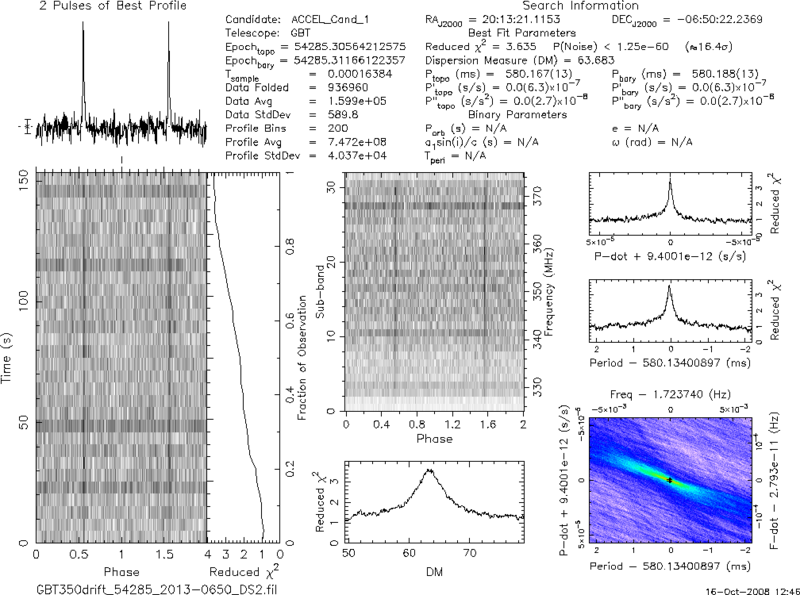 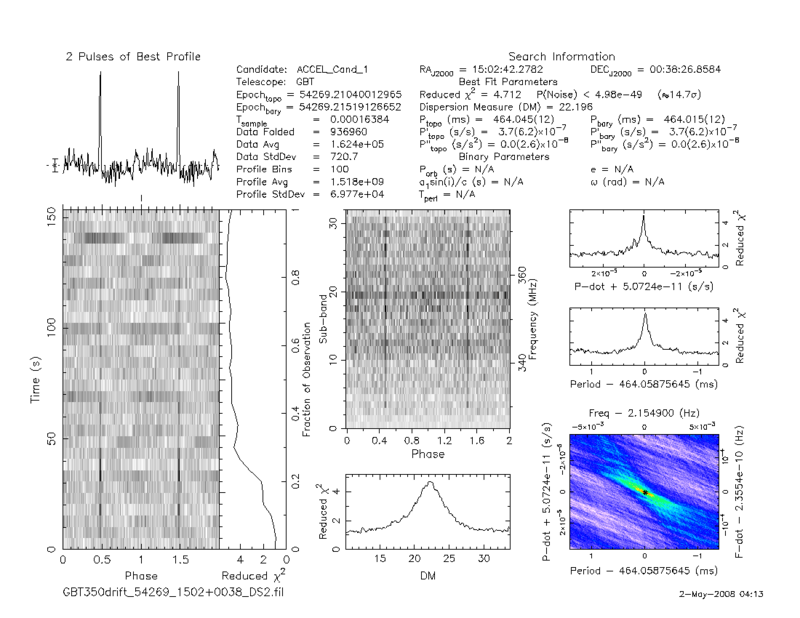 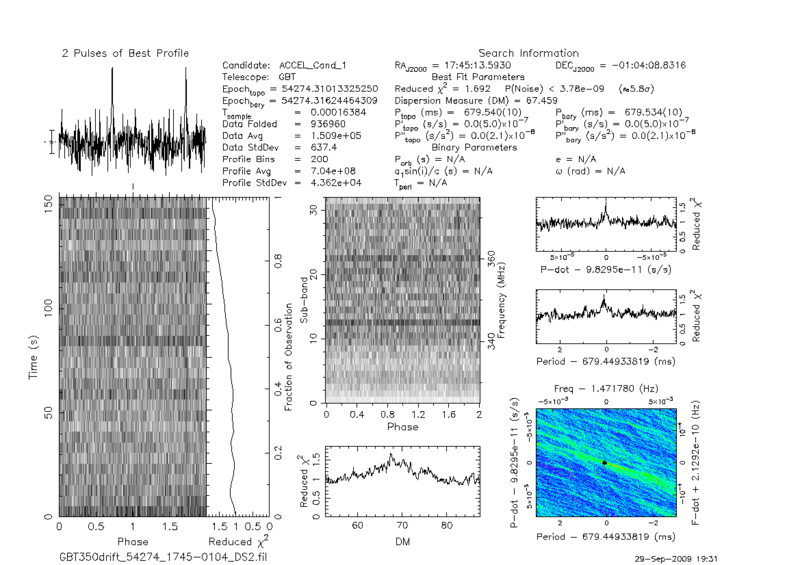 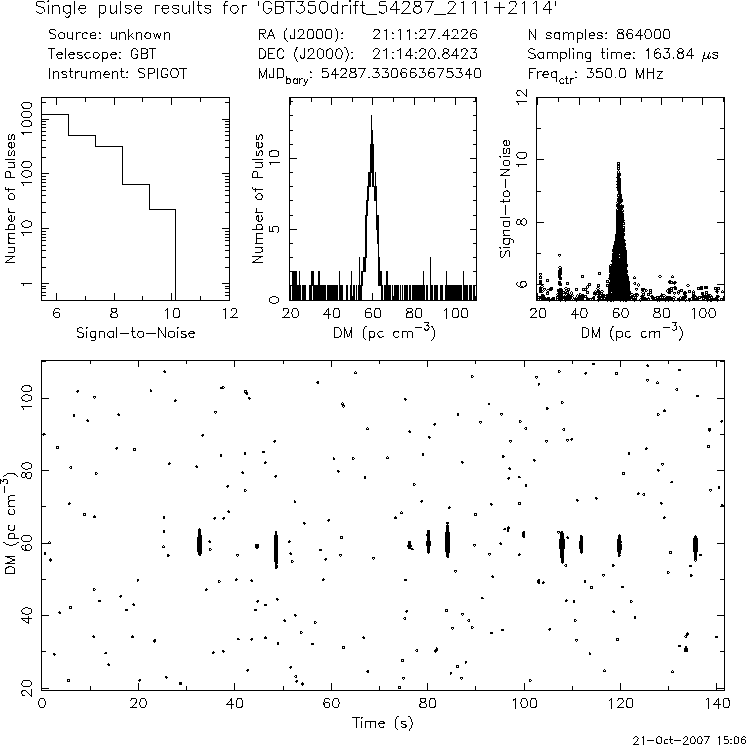 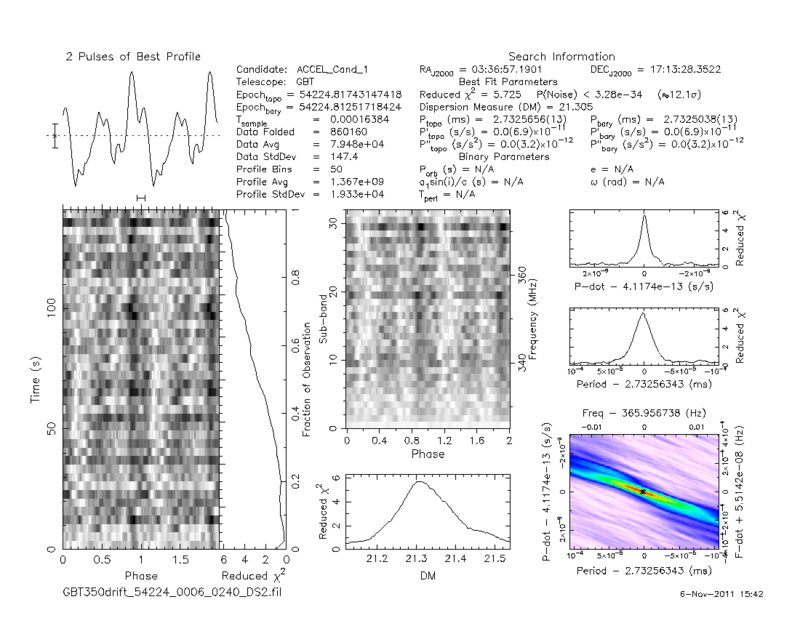 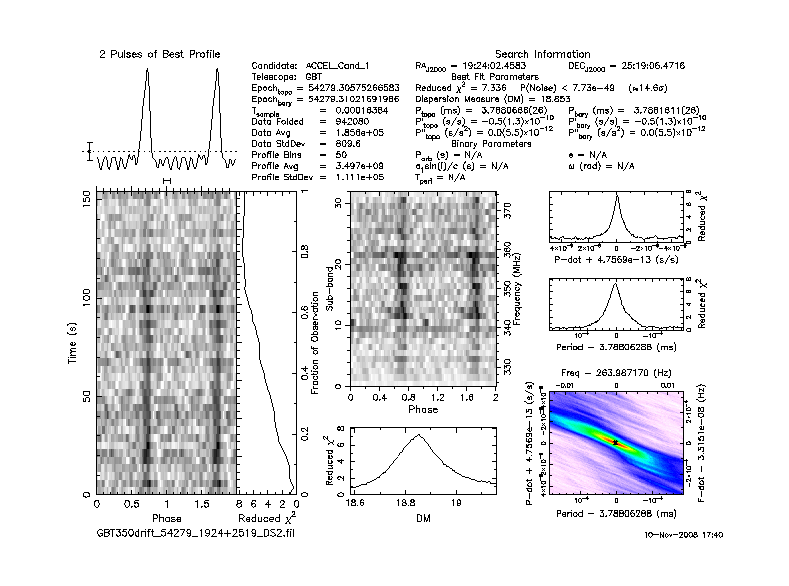 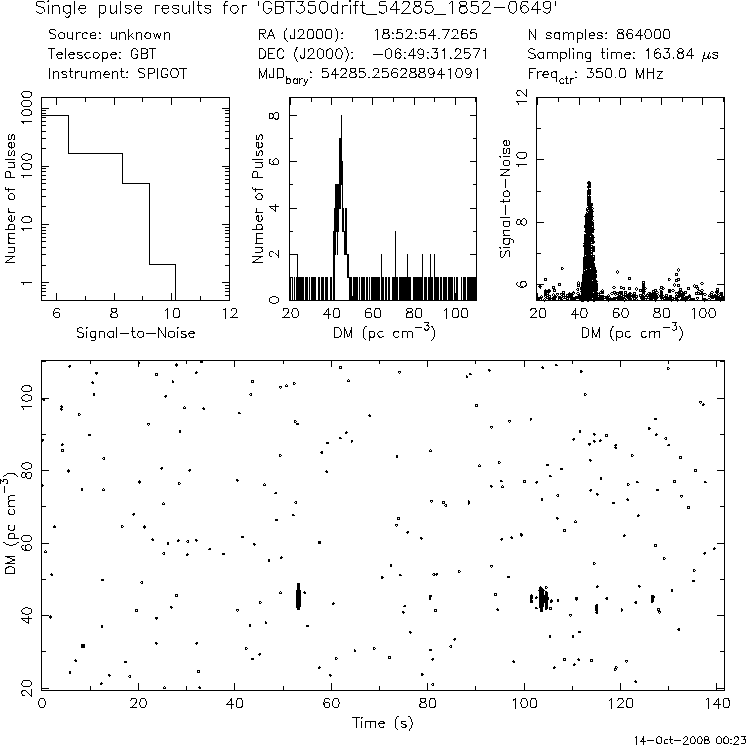 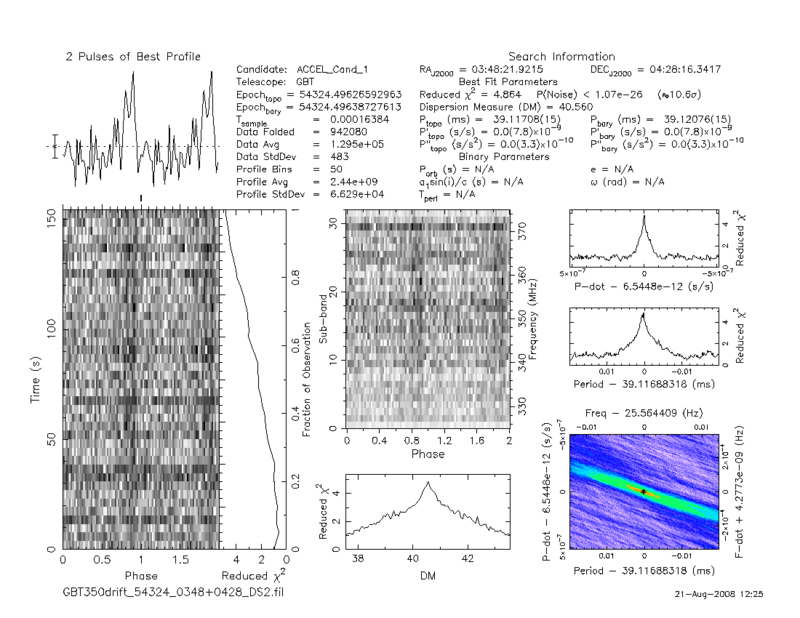 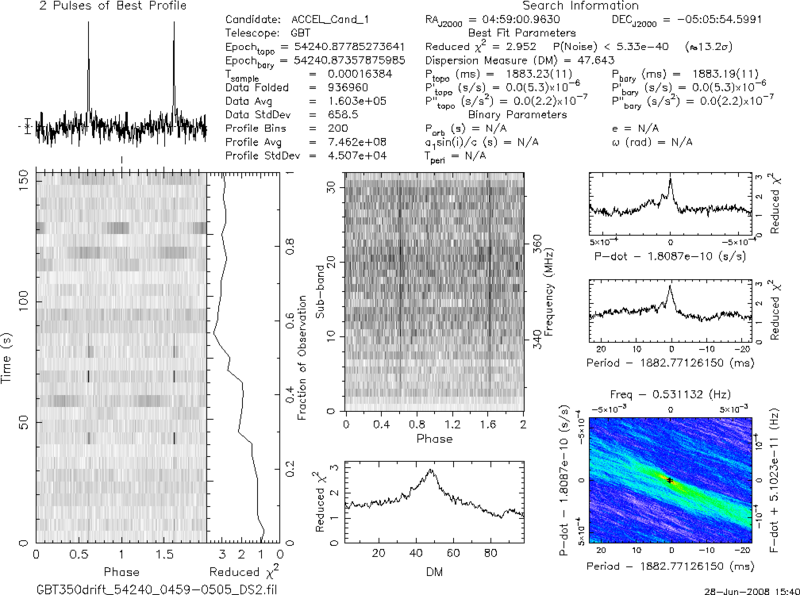 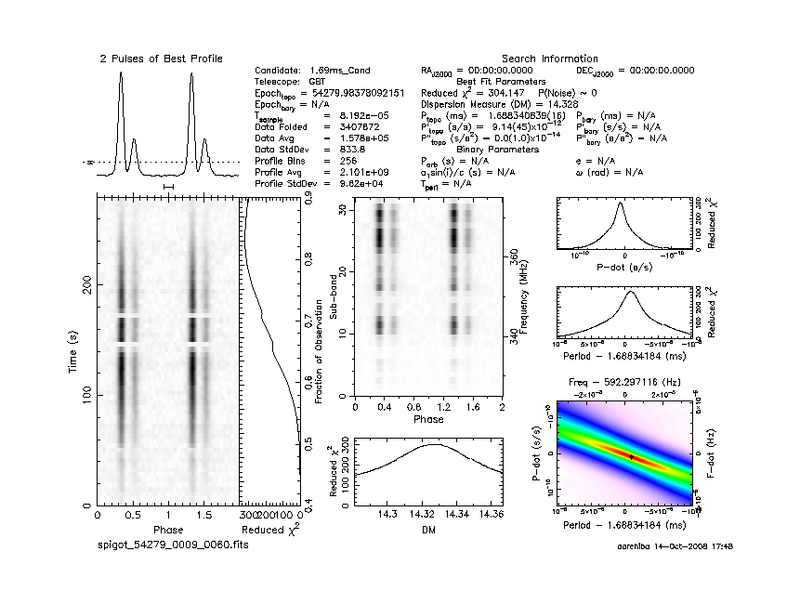 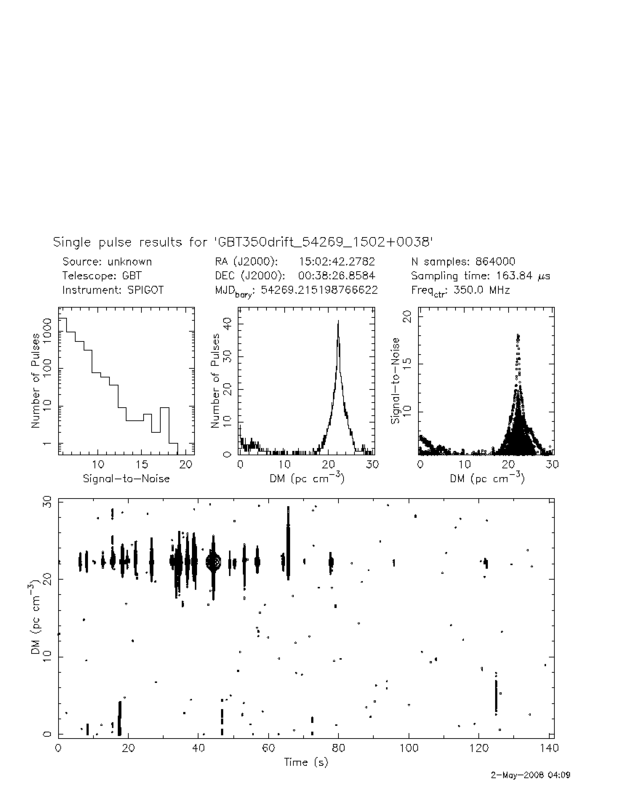 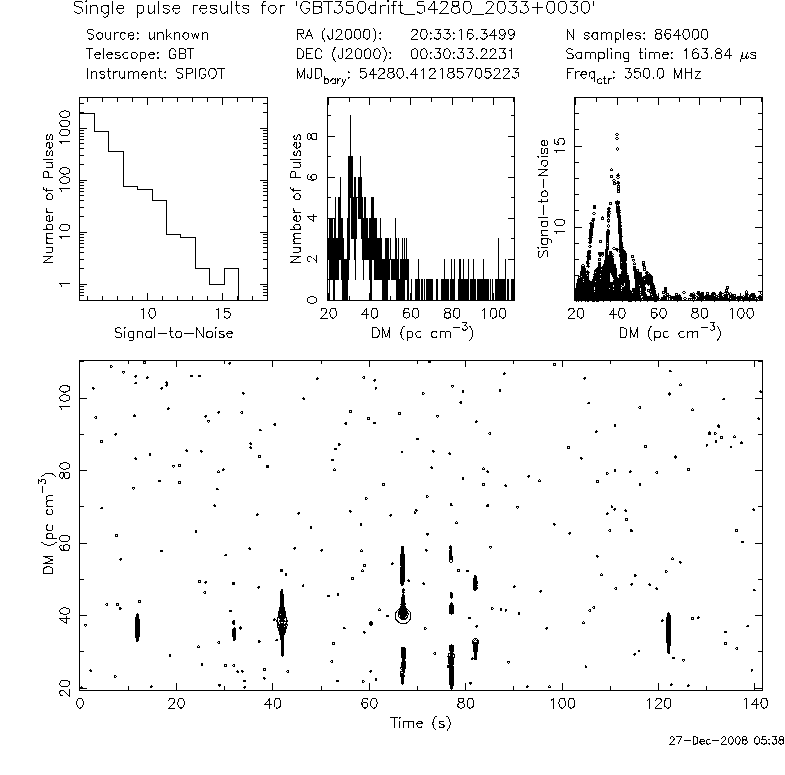 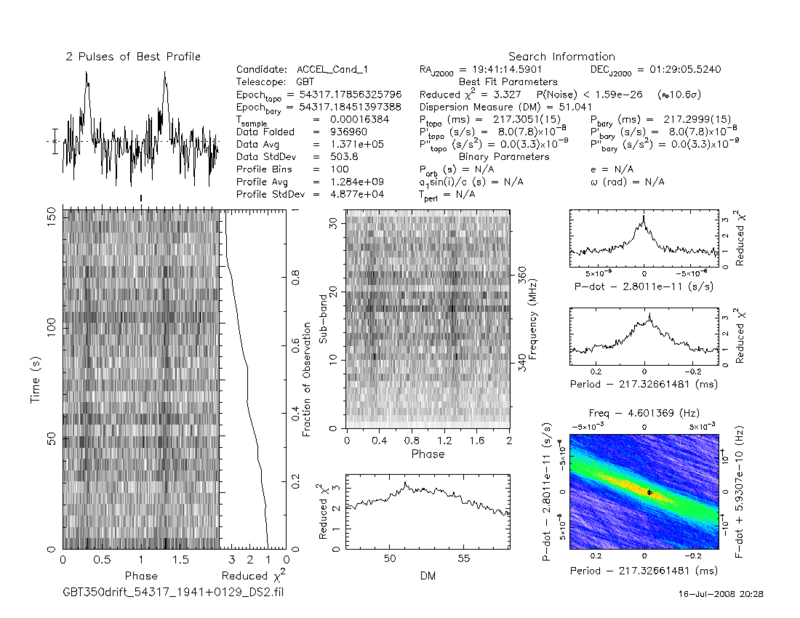 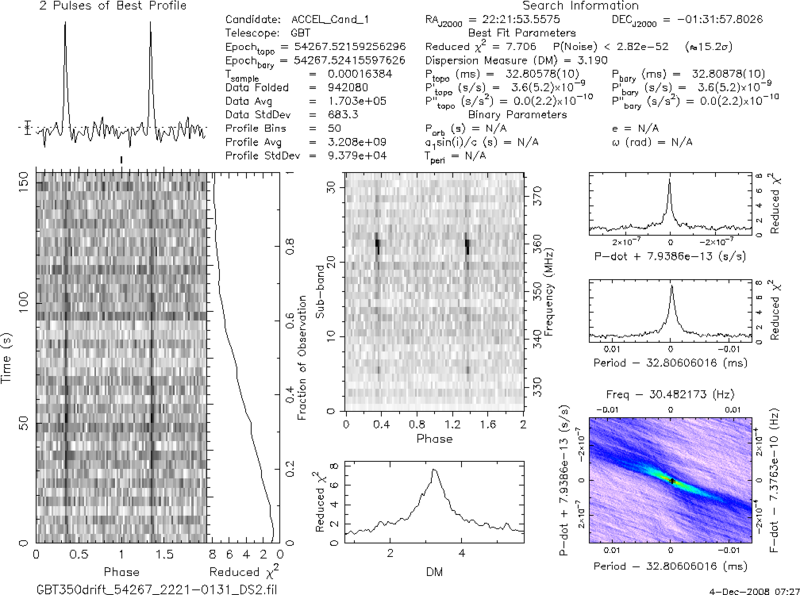 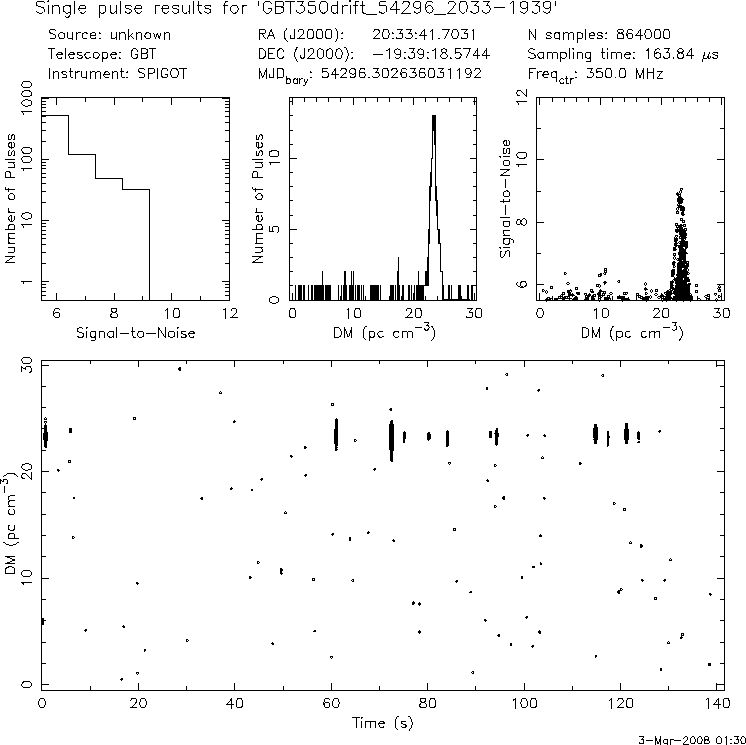 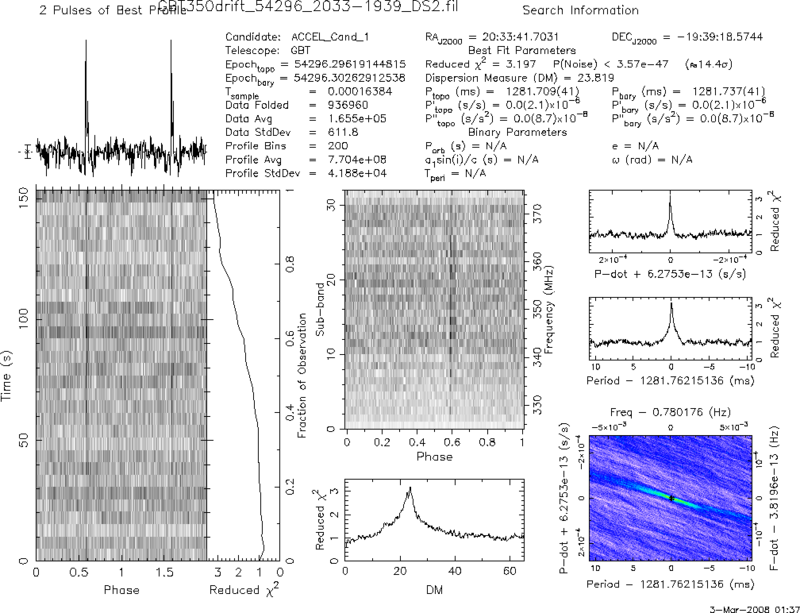 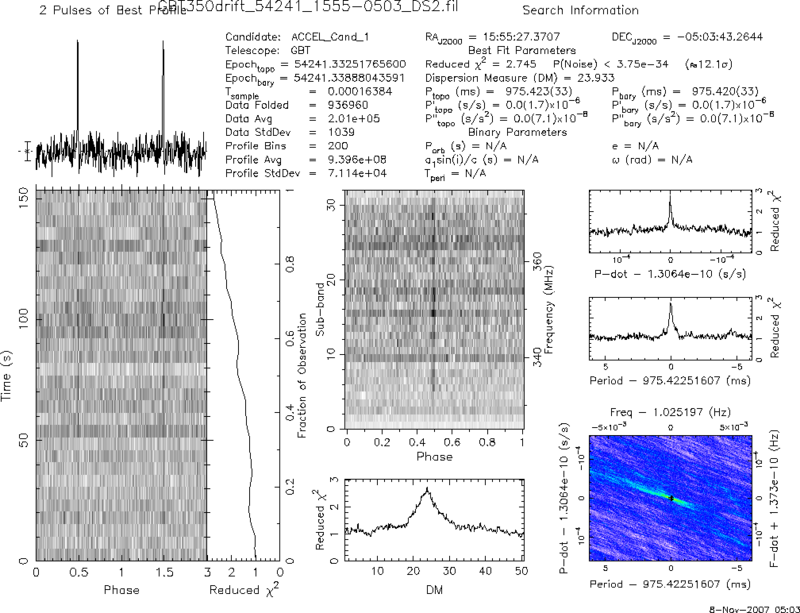 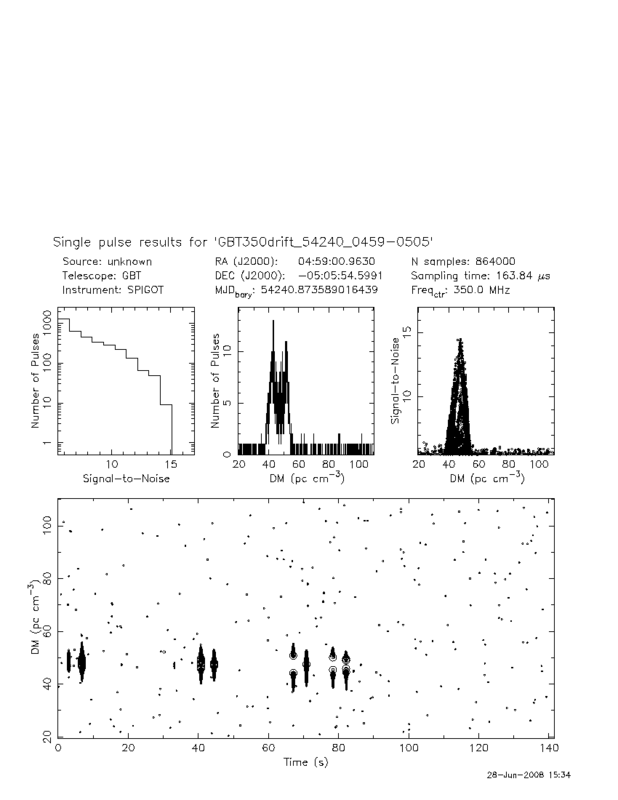 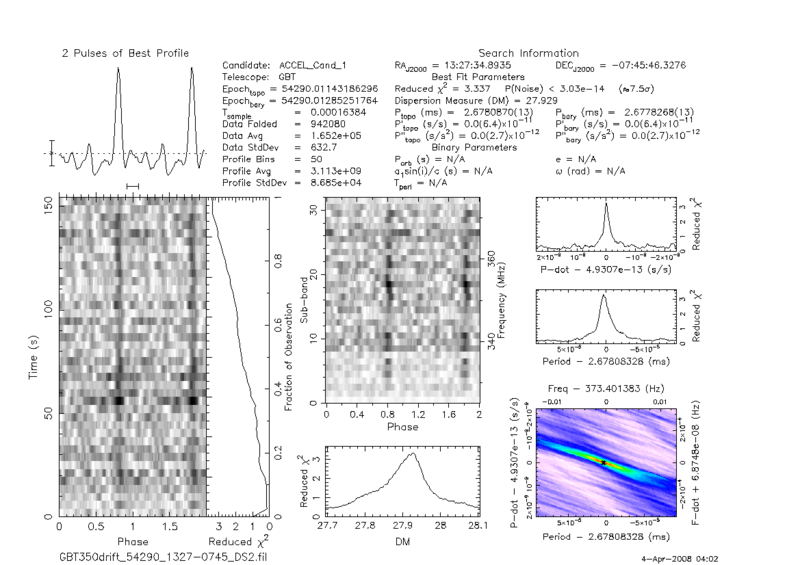 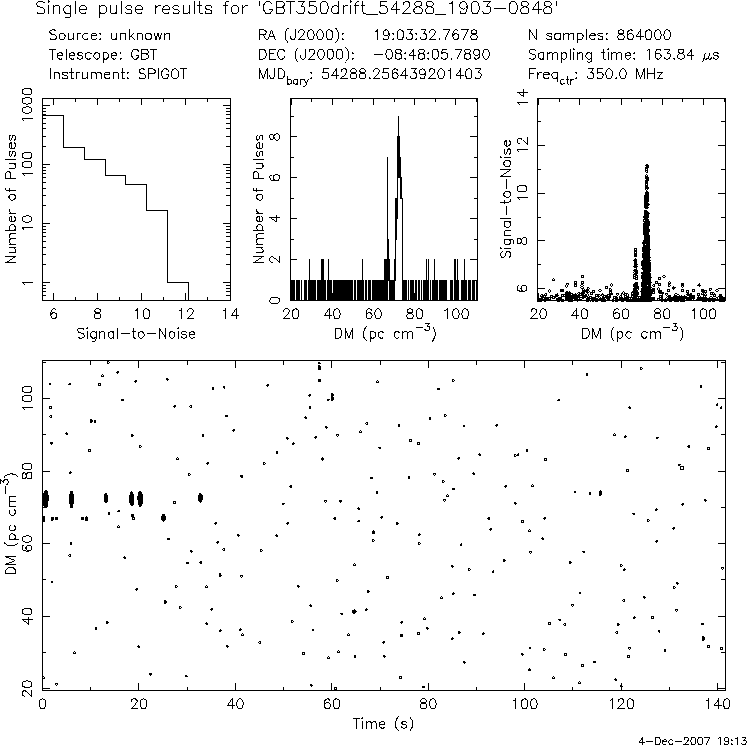 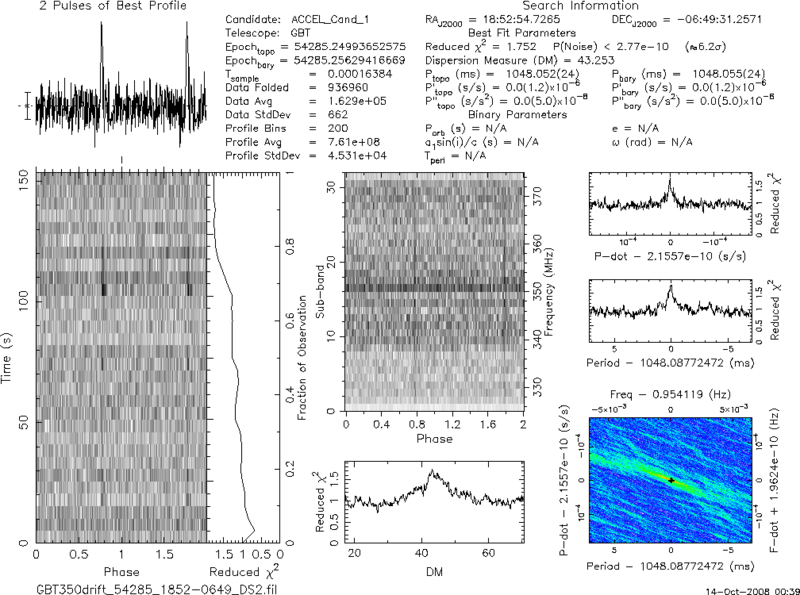 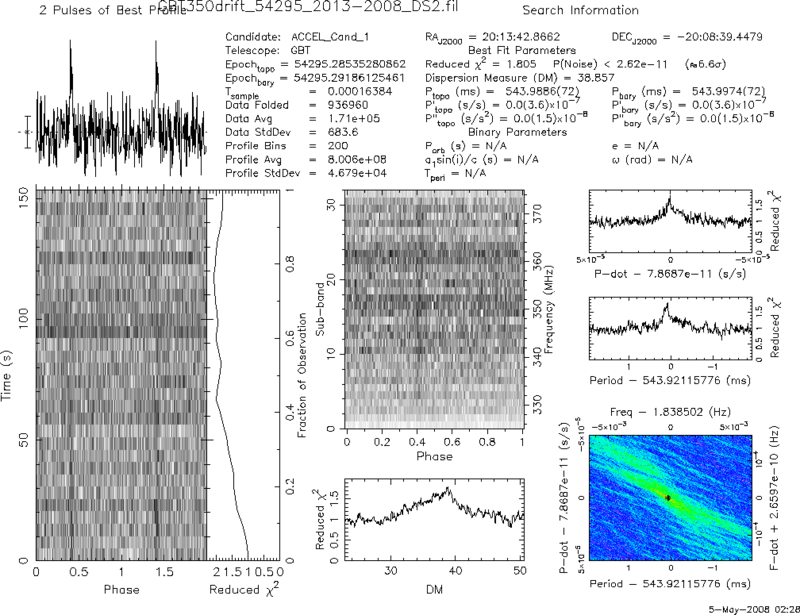 This page lists the new pulsars discovered in our drift-scan survey with the GBT at 350 MHz. 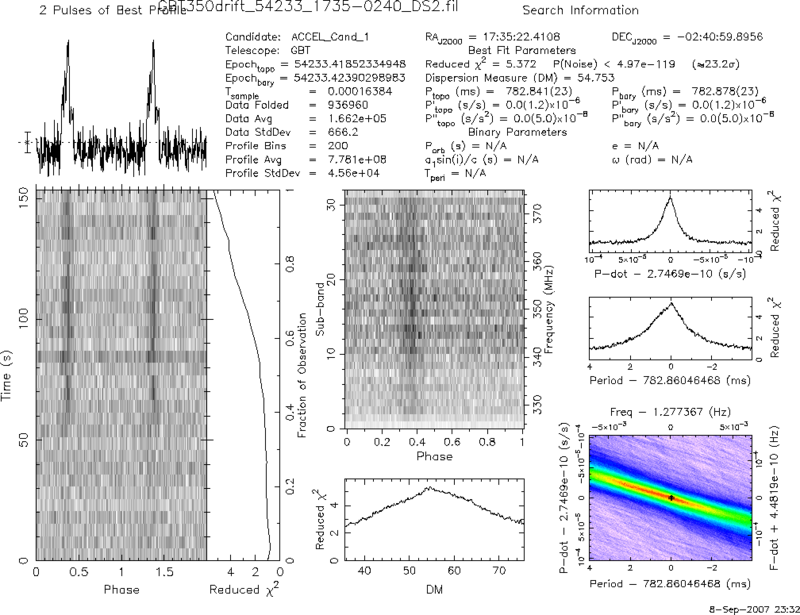 There have been 35 new pulsars including 7 MSPs found so far! 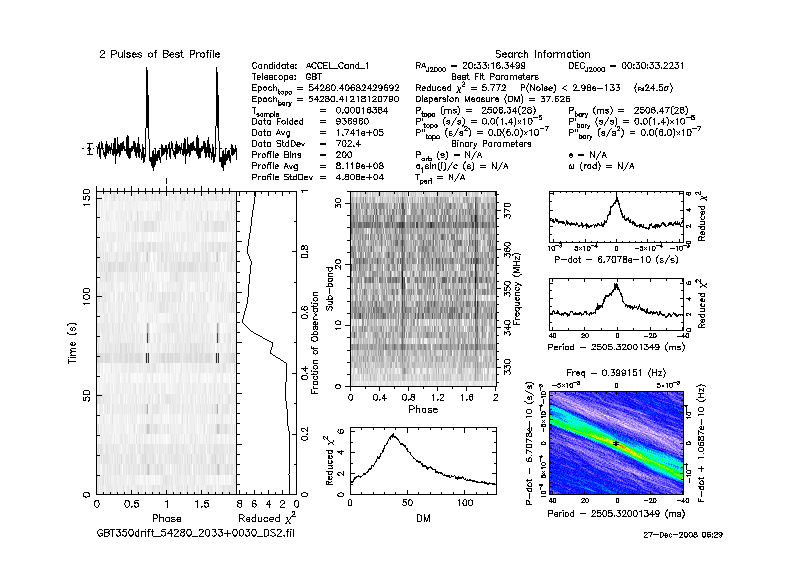 Red stars are new pulsars discovered in the survey. Blue stars are known pulsars redetected in the survey. 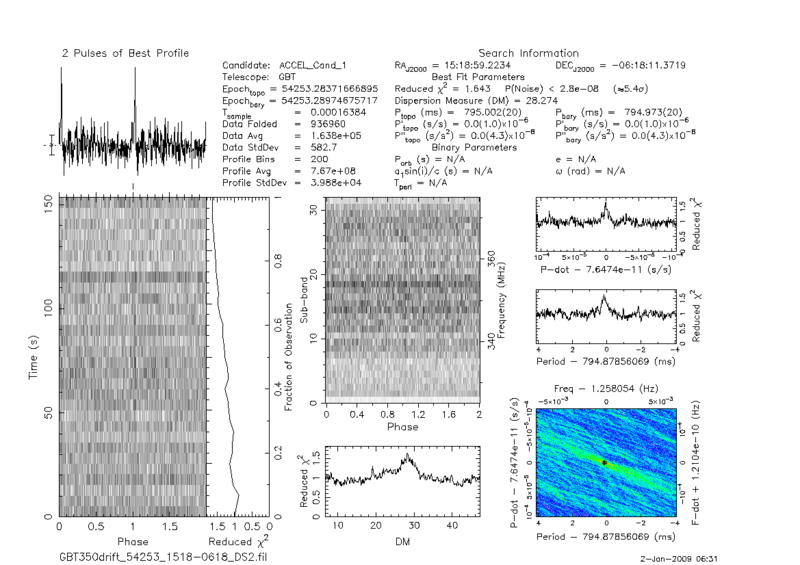 Triangles are new pulsar with red being normal pulsars and orange being MSPs. 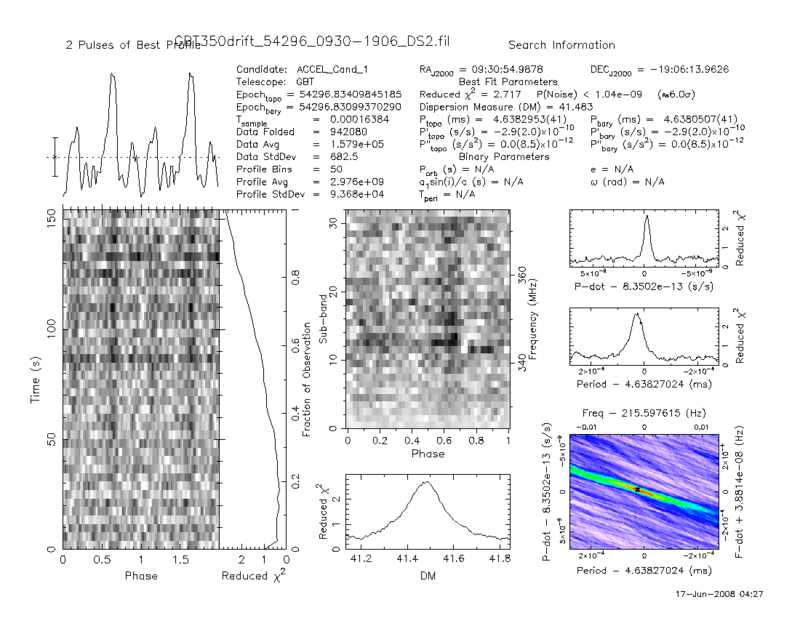 Crosses are known pulsars from the ATNF pulsar database.